The Internet of Things (IoT) features plenty of potential, but the reality is that this technology is still in the early-adopter stage with many consumers. A lot of people aren’t aware of all the benefits IoT offers, or even what IoT is. At the same time, businesses need to overcome several challenges involving education, scalability and security. Only then will IoT truly realize its full potential with consumers. As a result, companies need to offer innovative ways to connect with consumers, including hosting consumer workshops or offering novel ways of “showing” consumers what IoT actually offers. For example, Target is now offering open houses where consumers can walk through a life-size suburban house filled with IoT technology and information about devices. At the same time, Affinnova has also showed that 65 percent of respondents indicated that they were most interested in how IoT saves them money. 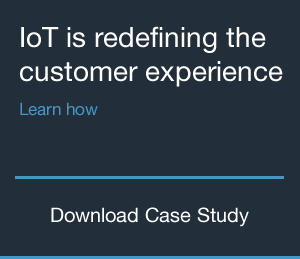 While IoT companies love to show the “wow” factor of their IoT technology, many should also educate consumers on how a device offers cost savings to truly connect with what the consumer wants. Researchers from the University of Michigan have outlined how IoT devices have a gateway problem that hinders communication. For example, they explain how IoT heart monitor wearables stop communicating when the phone paired with them dies and how smart home devices only communicate within the same brand ecosystem. At the same time, many companies are introducing their own communication standards, with Google Thread, Bluetooth Smart and Zigbee all offering different IoT standards. That’s why IoT devices need to ensure scalability through gateway models and multi-standard devices that allow devices to communicate with many other devices, regardless of brand. Those devices that can communicate across these standards will not only help people add a wide variety of IoT devices in their lives, but will also likely appeal more to consumers due to their versatility. Consumers also have serious concerns with IoT security. One survey by Autho found that 52 percent of IoT consumers don’t believe their products have adequate security. Perhaps even worse, an Autho survey of developers found that 85 percent of them admitted they had to rush an IoT application to market despite security concerns. IoT devices need platform that can provide better end-to-end security to protect against threats. In other words, data should be secure from the moment it leaves the end device, all the way to the cloud, and then back to the user’s app or browser window. Built-in or Added Security to Protect Your IoT Technology? © 2019 IoT Innovation All rights reserved. IoT platform. Mission Critical Platform Designed to Grow the Internet of Things.